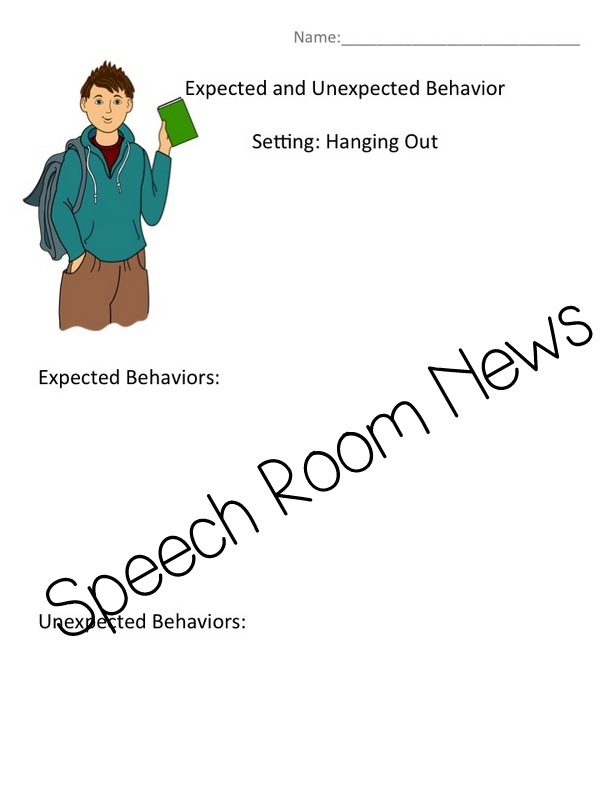 I’ve spend the first few weeks of school introducing Social Thinking to all my students. None of the materials I was using were really appropriate for my older elementary students but this is one of the foundational concepts we will use all year. I wanted to make sure they could understand it. I used clipart specifically designed for the older age set. 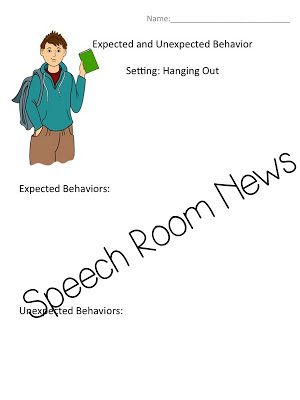 Use the included worksheets to facilitate conversations about Social Thinking skills. Use the worksheets to list expected and unexpected behaviors in each given situation. 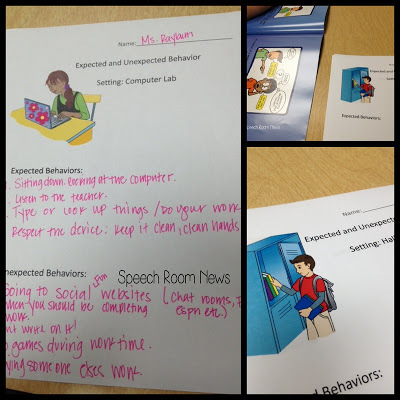 Pages 3-12 include given situations common for school. Pages 13-22 include blank sheets for your customization. Each page is structured with the Setting and spaces for writing. The is an example of a blank item included for your customization. You can purchase this item in my Teachers Pay Teachers store. I like! Where were you 15-20 yrs ago when I needed this stuff? LOL 🙂 SLPs today don’t know what a blessing TpT is! I too, struggle with teaching this concept to my upper elm. kiddos. 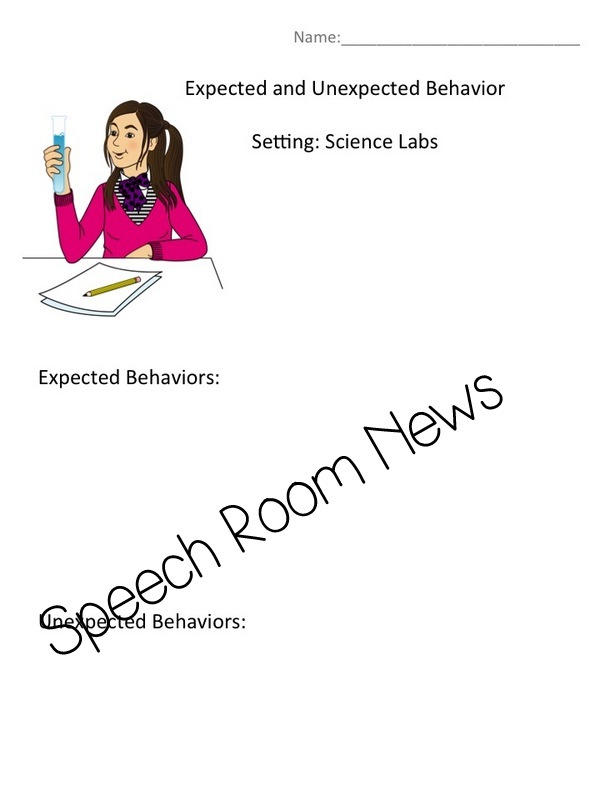 The worksheets are too “high school”! I think it’s important, however, to include how it makes others/me feel and consequences. 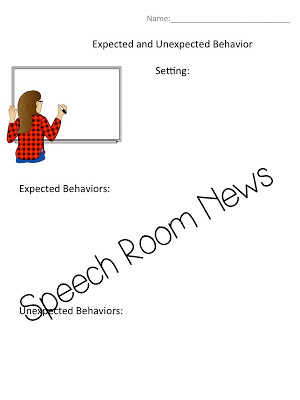 What I like best about behavior mapping is that it divides up behaviors/feelings/consequences. 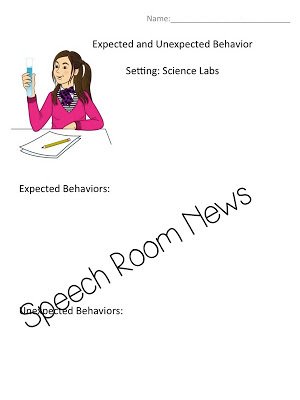 It helps build emotion vocabulary, perspective taking and cause/effect. Jenna, is this still available on you TpT? Can’t seem to find it…thanks! I removed it from my store. Thanks for asking! These sheets are no longer available. 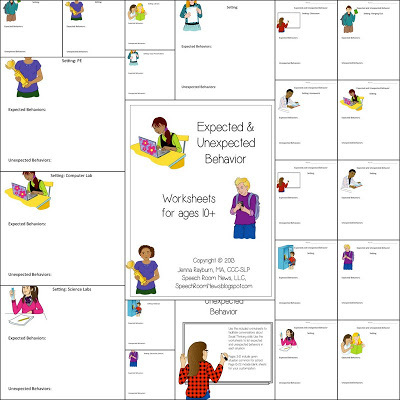 Do you have anything similar using the expected and unexpected behaviors terminology?